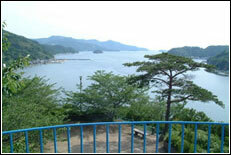 Ikata is a small town at the base of the Sadamisaki Peninsula with about 10,000 residents. Ikata is the sister city to Red Wing, Minnesota and has a yearly exchange program that the Ikata CIR and ALTs help coordinate. 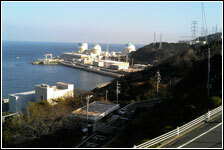 Yawatahama is a port city. It is a way point with many ferries heading to Kyushu. It has a lively restaurant scene and is home to a newly built Fuji Grand which houses many popular stores. The old silk capitol of Honai was recently incorporated into Yawatahama, and is just a 10 minute drive from the heart of Yawatahama. 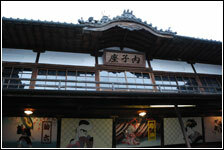 Located smack dab between Ozu and Uwajima, Seiyo is made up of the towns of Uwa, Mikame, Shirokawa, Nomura, and Akehama. The Seiyo area is famous for its spring Renge Festival and 500kg mammoth made entirely of straw. Known as the Little Kyoto of Iyo, Ozu is home to traditional sights including its castle and historic district, as well as many modern commodities including a movie theater and plenty of shopping. 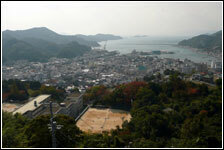 It encompasses the towns of Niiya, Nagahama, Hijikawa and Kawabe with a joint population of about 48,000. Uchiko is a small town surrounded by mountains, with a population of about 20,000. 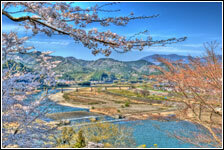 It is the central hub area for several smaller, outlying towns and villages including Ikazaki, Ose and Oda. Uchiko is twinned with the town of Rothenburg ob der Tauber in Germany, and prides itself on the preservation of its historic buildings.